It’s already the middle of November and the holiday season is in full swing. Most are getting into the holiday spirit by accenting their homes with colorful lights and decorative lawn ornaments. I’ve been sprinkling cheerful seasonal decor throughout my home and I’m trying to make sure every room is considered. That includes my dining area. Although we are not big party people, we do like to have lots of friends and family over to spread some holiday cheer. This means creating a spread of festive foods and drinks and bringing out my Christmas coasters. Every year I make different coasters, so I surf the web until I find the ones I just have to make. There are masses of free patterns but I did find a festive set that would be perfect in our home from All Free Crochet. The Snowflake Coasters are pretty, festive and super easy to make. Instructions between [ ] are all worked into the same stitch or chain space. Instructions between * are repeated as directed. Ch 3, sl st in first chain made. The beginning chain does not count as a stitch. If preferred, use the Magic Ring and ch 2 to begin. If using two colors, fasten off and join new color in first stitch. Disclaimer: All Free Crochet gave me permission to share this free pattern. Thank you, Lilac, absolutly lovely! I’m still searching for some fisherman crochet patterns if you ever cross paths with some! So easy and so cute! 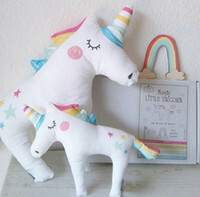 Those are too cute! I can crochet I should try making these! crocheted ornaments remind me of my grandmother – thanks! These are so quick and easy to make. They look great on the tree too. I have made many of these over the years. Still have them too. This is such a great beginner project (which I am) – thanks for breaking it down! Well I think they’re just beautiful but I don’t know how to crochet! These are sweet!I will share with my sister as I do not crochet. Pretty! Having a set would be pretty to set out for holidays. 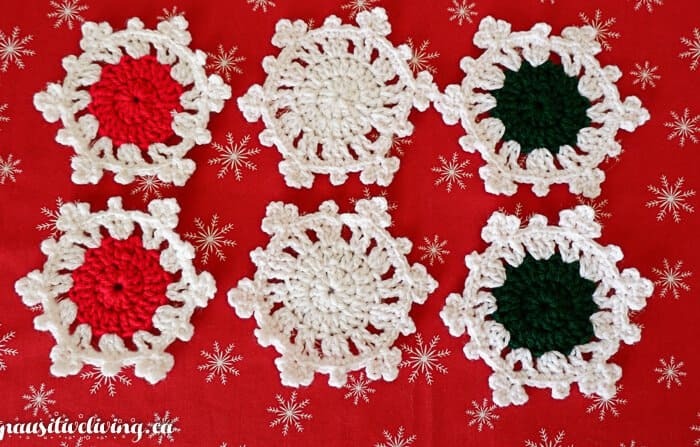 (Christmas Snowflake Coasters Pattern) These are so cute, I know that my one daughter-in-law could make these for me. These are beautiful! I have never learn to crochet. So cute! I think a mix of blue and white would be adorable! I love them. I’m going to send it to my 71 yr old mom and her activity club because they make crafts all year long. Might be something they would want to do. Thanks for sharing. They are so pretty. My mother used to crochet but I haven’t learned. so pretty and look easy to make! remind me of some my mom used to make! How lovely and elegant they are. I love these coasters. I use to crocket, not sure if I reminder how to now. These are so pretty! Wish I could crochet. These are SO sweet.My cousin is coming to visit and teach me how to crochet,So excited! I so wish that I was good with needlework. For some reason, I just can’t to pick the different crafting modes up. These are so cute. I think they’d be fabulous starched as a Christmas tree ornament. Looks beautiful, I like the one with red circle inside! These are just perfect for the holiday season. The coasters I use now stick to the bottom of the glass and fall down sometimes scaring us half to death. Thanks for sharing the pattern. Great! I’ll teach my granddaughter to do this. I love these! I haven’t done them since I was a kid, thank you for reminding me! I’ve got to use this pattern and teach my daughter how to crochet! My Nana taught me how to Crochet many moons ago and unfortunately I havent made anything in a long time. These are so beautiful that maybe its time to pick up the hook again. I have not cricheted in years. This would be a great winter project. So pretty. I love the detail of the pattern. I haven’t crocheted in a while, but you have it so detailed I think I can do it. Thanks, bunches!